Warren Commission - The President's Commission on the Assassination of President Kennedy, known unofficially as the Warren Commission, was established by President Lyndon B. Johnson on November 29, 1963 to investigate the assassination of United States President John F. Kennedy that had taken place on November 22, 1963. The 88th U.S. Congressional session passed Senate joint resolution 137 authorizing the Presidential appointed Commission to report on the assassination of President John F. Kennedy mandating the attendance and testimony of witnesses and the production of evidence concerning the infraction occurring in Dallas, Texas on November 22, 1963. Its 889-page final report was presented to President Johnson on September 24, 1964 and made public three days later. It concluded that President Kennedy was assassinated by Lee Harvey Oswald and that Oswald acted entirely alone. It also concluded that Jack Ruby also acted alone when he killed Oswald two days later. 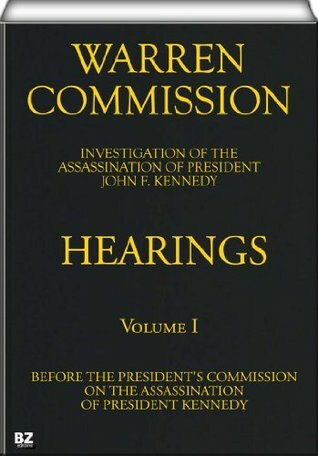 The Commission's findings have proven controversial and have been both challenged and supported by later studies.The Commission took its unofficial name—the Warren Commission—from its chairman, Chief Justice Earl Warren. According to published transcripts of Johnson's presidential phone conversations, some major officials were opposed to forming such a commission and several commission members took part only reluctantly. One of their chief reservations was that a commission would ultimately create more controversy than consensus, and those fears proved valid.